The only hotel in Downtown Petoskey - overlooking Little Traverse Bay. Stay right downtown and walk to Shopping, Dining, Pubs, Parks, Art Galleries, and the Waterfront. Open year round, our full service hotel offers attentive service and fine dining overlooking Lake MI and elegant surroundings. There is onsite entertainment, local shuttle by appointment to ski resorts. Built in 1899 as one of 20 original luxury resort hotels, Staffords Perry Hotel is the only one still in operation. Experience the grandeur and elegance of a by-gone era without leaving modern day conveniences behind. Perched high on a bluff overlooking Lake MI, the Perry Hotel stands as a proud symbol of the early 1900s when Northern Michigan tourism was in its infancy. The Perry Hotel boasts 79 individually appointed guest rooms, many with private balconies overlooking Little Traverse Bay. 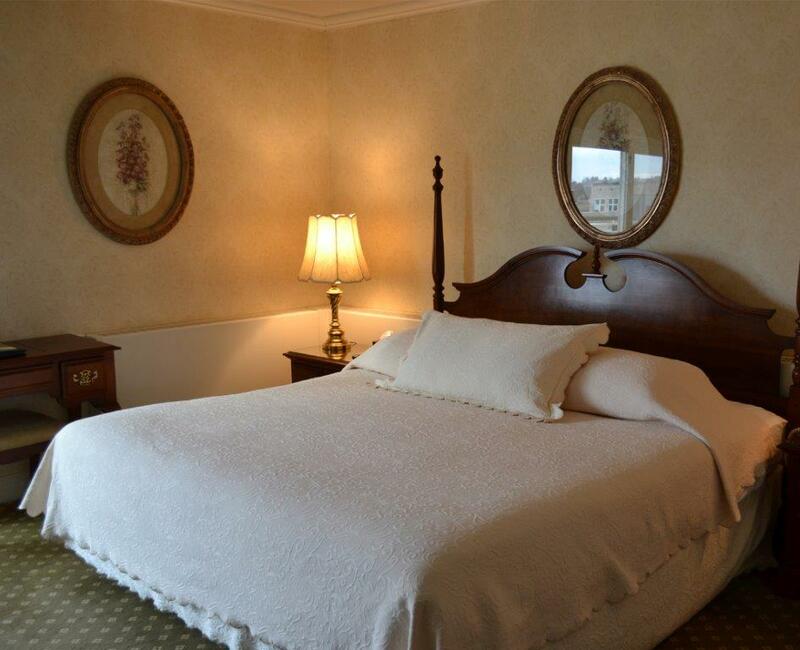 The Stafford's Perry Hotel is located in downtown Petoskey overlooking Lake Michigan's Little Traverse Bay. Located in walking distance to the hotel is the waterfront, historic museum, Crooked Tree Arts Council, Library, shopping, dining to name a few. Petoskey is centrally located to various recreational activities. Winter activities in the area include downhill, cross country skiing and snowmobile trails are located nearby. Summer activities includes, shopping, hiking, bike trail, swimming to name a few. Autumn brings breath taking landscapes to the area. You will enjoy Petoskey's quaintness and charm.